The events of the kidnap of Donatius Dunu, Managing Director of Maydon Pharmaceuticals Ltd, by suspected kidnap kingpin, Chukwudumeme Onwuamadike alias Evans. His revelations must have left the court audience sighing severally, with vivid descriptions that would leave one in shivers. 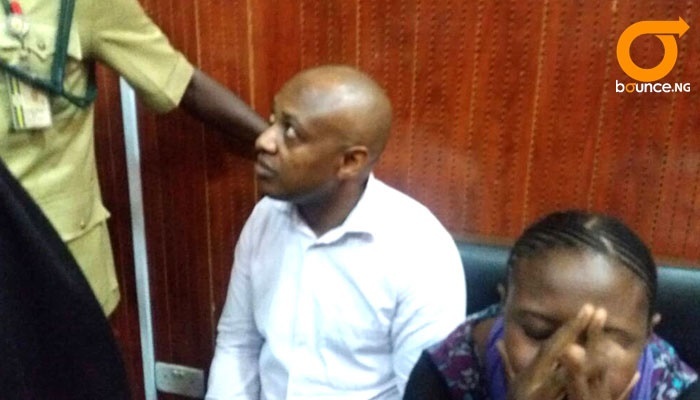 After his narration and while being cross-examined by Mr Olukoya Ogungbeje, Evans’ lawyer, Dunu said that he made a mistake by giving conflicting dates of Feb. 14, 2017 and April 14,2017 as the date of his kidnap in his statement to the police. “At 7.30 p.m. when I closed from work, I was going home along Obokun Street, Ilupeju, Lagos. “That night, they brought a phone that their chairman wanted to speak to me, the chairman told me that nobody on earth can bring me out that it is only God that will bring me out. “The next morning, they brought a box that had various dangerous weapons and a particular one had a very long handle and they told me that if it should get into me it will touch my heart. “He is from Imo and he speaks Imo, the second person who is still at large calls himself Adebayo, but he is from Anambra.